Fire TV Box or Fire Stick? You can manage Emby on your home network with parental controls, and even monitor and control viewing sessions remotely with the Emby app when you are at home. So, if you have left your kids with a new babysitter or an overly lenient uncle, you know what they are watching or listening to. With the Emby app you can stream from Emby Server to Emby client devices like Chromecast and access libraries across devices on the network. You can also stream live TV with EPG information, and make, manage, and stream recordings on Emby's DVR. There are plenty of mobile apps for Emby, and you can also use the Emby Web App to stream from Emby Server in a browser on your tablet or phone. The Emby Server dashboard can be viewed and used on a phone, tablet, or regular computer. The first thing to know is what apps you will be using on your Emby client devices, and the Emby client app will install and run on almost any device. The Emby app runs on mobile Android clients, and there is always available technical support for Android mobile devices on the Emby website. I personally choose to also use the wiki on the developer's GitHub page. The Emby client app is available on Google Play and Amazon. Emby is available for iPhone and iPad in iTunes and the Apple App Store. Emby for iPhone and iPad can handle just about any type of media. With Emby Server transcoding any type of media can stream from Emby Server to the iPhone or iPad. The app supports streaming to Chromecast. With Emby you will be able to play files, folder contents, shuffle, mix, queue, and more. The Emby app for mobile Windows client devices is the same as for Xbox, whether it is a phone or tablet. This is Emby Theater, which requires an Emby Premiere subscription to use. Though Emby Theater will allow you to view and browse media, you need a subscription to play these files. You can download Emby Theater in the Microsoft Windows Store. You can sign up for Emby Connect and share your media with family and friends. For tablets running Windows 10, you can also use Emby Web Client with two URL's to login to Emby Connect. Another thing to consider is the TV apps you will use. The Emby app is available for Samsung and LG Smart TV's. Users in the USA, UK, and Ireland can install Emby in the Samsung App Store. Emby is available in the LG App Store as well. The great thing about these two brands is they are certified by Netflix, which is required to play the Ultra HD and 4k streams on devices. There is more support for select series Samsung models of TV's on the Emby website. Almost everyone has heard of Roku today, and many people who own a Roku own more than one. Today they even make Roku TV's. This is not the same as a TV with a Roku streaming device attached. It is literally a TV with natively built-in Roku apps. You can add the Emby channel for Roku in the Roku Channel Store on the Roku itself or online. Support is available for Roku devices on the Emby website, and the Emby wiki for Roku is a great resource for setup and preparing your media. Emby for the 4th generation Apple TV is available in the tvOS App Store, but that isn't the best part of owning an Apple TV. The best part is the famous Apple support you get built into buying any Apple device, and that support starts with their website. 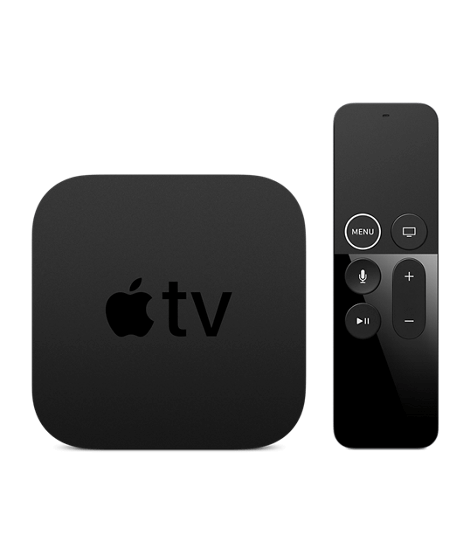 They have great information to get you up and running and improving your setup for Apple TV. You can as always count on Emby and the Emby Community for great support. There are people who use Apple devices, and there are people who use other devices. Apple users tend to be more Apple than Microsoft or Linux, so this might be the only option for those people in their opinion. The Apple TV is a great streaming device that allows you to build a library of streaming media through the Apple Store. The PlayStation 3 can be automatically detected by Emby as a DLNA device, and will display in the Emby main menu of the Emby dashboard if DLNA is enabled on the PS3. To do this you must follow the instructions printed in the user guide. To access Emby on the PS4 you must open a browser and login to the Emby Web Client. Once connected, PlayStation media and games stream from Emby Server with the GameBrowser 3 plugin for Emby. Not only that but they have a great website with live chat support that allows you to login and manage your PlayStation account. There is also an Emby support page for the GameBrowser plugin. The Xbox experience is another great way to stream from Emby Server. Once on the Xbox platform you begin building a library of media and games to stream and play on future Xbox consoles. For Xbox 360 connectivity, Emby is available as a Windows Media Center plugin. For Xbox One connectivity Emby Theater is available in the Microsoft App Store. Emby Theater remember requires a subscription to Emby Premiere. To install Emby Theater directly into Windows, you can download and run the setup executable file from the Emby website. The great thing about Amazon devices is they are fast. This is because the propriety version of Android on Fire TV devices has been trimmed down for only what a streaming device needs. It is not used in the same way an Android tablet, phone, or real computer would be. So, it only has what it needs. If you have ever noticed how many tutorials there are for hacking and sideloading apps on Fire TV, you may find it amusing to know many of these tutorials are written to restore functionality and availability to the Android operating system that Amazon removed. While this may be fun for people to play with it is really nothing more than that, making Android back into Android again. You should be advised, doing this will somewhat compromise the speed of the Fire TV as advertised, but it is a great little streaming device whether you hack it or not. 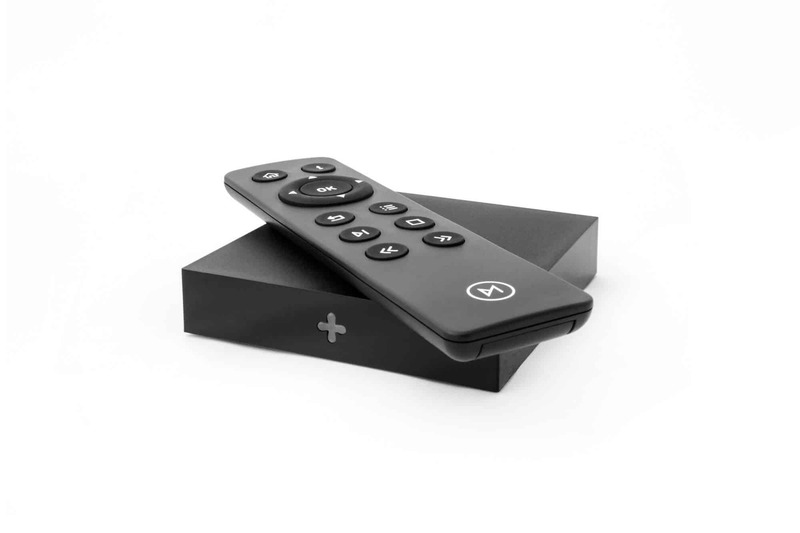 If you want to ensure speed and performance, I recommend the Fire TV Box over the stick. The stick is nice for tight spaces and easy mobility. I own several Amazon Fire Sticks for such use, and highly recommend them especially for people who just want a remote in their hands and something to watch or listen to. The Fire Stick with voice remote also has Alexa support with a microphone to use voice commands, and an Amazon account allows you to add Alexa skills for Kodi for new voice commands. If you are a regular Amazon customer and especially if you are an Amazon Prime subscriber, this option may appeal to you more than others. I really like the concept of having one platform for everything, and I feel there are two great worlds for such a concept. One is Apple and the other is Amazon. It is great to make all your purchases and have all your media in one place. While this platform may be Xbox or PlayStation with a gamer, not everyone is a gamer. If you are not an avid gamer, Apple or Amazon might be a better fit. You can't buy your groceries and other shopping list items from the Xbox or PlayStation website at the same time you are buying a movie, TV show, music album, or other streaming media. Conversely, you cannot play the same high end games on Apple or Amazon devices. But, if you are a true Amazon patron (more than just another customer) this might be your best Emby client device option. Chromecast can stream from many apps on many devices, and the Emby app is no different. If you want to be able to stream from a device to Chromecast, you can use the Emby for Android app. This is not the same as the Emby for Android TV app, which is made to play Emby content on an Android TV box itself. You can download both of these apps on Google Play. The support for Chromecast is best on the Emby Chromecast wiki. There are many good Android TV boxes and there are many bad ones. You should check the technical specifications and heed the reviews when buying any Android TV set box. Emby has its usual support pages for Android TV client devices as well. Android support for Emby is found on the Emby wiki for Android TV. You can download the EmbyCon Kodi add-on from the Offical Kodi Add-On Repository. This is the default repository you download from in Kodi, and you do not add it like other repos for Kodi. You can access this with the Download button on the default Kodi home screen. You can view a full demonstration of EmbyCon on YouTube. And of course, there is the expected Emby Community page for the EmbyCon Kodi add-on. There is also an Emby for Kodi wiki, which will tell you how to use the Emby for Kodi Sync add-on. Though this feature is more advanced, it may not be as efficient for your device. It uses more resources when it must periodically sync. This solution is recommended for higher end devices. If you own NVIDIA Shield and love Shield TV, you will be glad to know you can also make it an Emby client device for Emby Server. NVIDIA SHIELD TV boasts it is the best streamer for your Google-connected lifestyle, and it is. The NVIDIA Shield allows you to watch media and stream to your TV already, and you can play games. When you connect NVIDIA Shield TV to Emby Server, your getting twice the device. You can stream from the Emby Server device, use the GameBrowser plugin to play games, and watch and record shows from the Emby Live TV Guide with the Emby DVR. Furthermore, if you are like many people today, you have a Google account that plays a vital role in your daily personal and professional affairs. You can stay current with Google Calendar and Google Inbox and other great apps that Google accounts offer to end users available on a device developed specifically for Google apps. You'll find an awesome Emby client device in the Vero 4K, which is 3.5 inches square. This tiny device is compact and fast. Designed by the makers of OSMC Open Source Media Center, the Vero 4K is built specifically for running OSMC. Though the developers of OSMC make their software compatible with devices like the Raspberry Pi, the Vero 4K is made specifically to promote using OSMC on a device truly made for media streaming. One of the greatest devices for running Kodi-embedded Linux is We Tek Play. The newest model available is actually the We Tek Play 2. The important thing to know about any device you want to stream popular Internet services like IcFlix, Starz, and Netflix is that it is Widevine-certified like the We Tek Play is. In fact, you should always (if you want to use such services), reference the website for your service to make sure your devices are supported. It is not always just a matter of technical specifications, but media streaming services can only be streamed in 4K and Ultra HD on Widevine-certified devices. Not only that, but Netflix has its own additional certification for devices that must already comply with Widevine certification. Diminutive and unassuming, the Meerkat adorns your desk without consuming. It is only 4 inches square. When you purchase a Meerkat, you have options. You design to buy. It can be fitted with a 7th generation Intel Core i3, i5, or i7. You can buy either the short or tall model of Meerkat for 2.5 or 4 TB of storage. 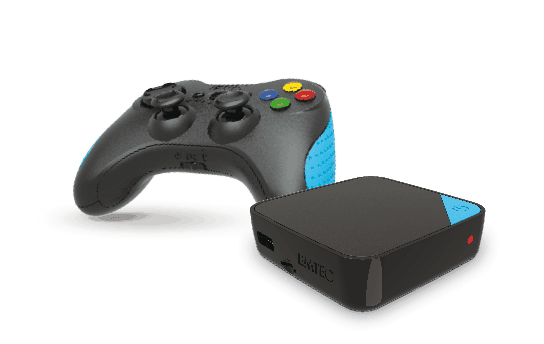 GEM Box is a low-cost Android TV box that boasts to be the first Android TV box also made for gamers. In terms of hardware most avid gamers use, the GEM Box is comparatively compact and lightweight. Many gamers might build a whole tower full of hardware components to play some of the most resource demanding games. Other gamers prefer mobility from their devices, or accessorize their collection with a device that provides mobility for gaming on the go. 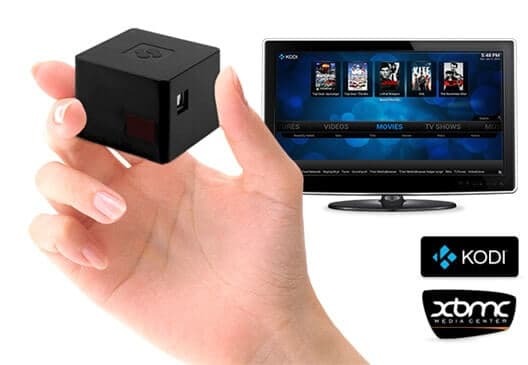 I like this Android TV box because it is easy to use and able to be carried around. If you own the GEM Box, you must also own the GEM Pad. With the GEM Pad you can also use the GEM Pad holder clip. You can also use the GEM Motion remote control, which has both a TV controller on one side and a QWERTY keyboard on the back. You boot to Kodi, and when you exit Kodi you shut down the entire operating system. It is made to run only Kodi in the foreground. Although you can remote in from another computer and use the command line inside the operating system, Linux is otherwise virtually invisible. There is only Kodi for a desktop. That is what makes OSMC great, and a great choice for an Emby client device to connect to Emby using the EmbyCon Kodi add-on. Another great operating system to install upon the Raspberry Pi is LibreELEC. The ELEC part stands for “embedded Linux entertainment center.” While it works much the same as OSMC, LibreELEC uses different repositories for support of natively installed hardware and for downloading hardware. It is developed differently and runs in a different manner, though they are also very much the same. The key difference is LibreELEC is read-only. The advantage of using a read-only file system is that no major changes can be made to the system software that might break the whole operating system. This also prevent lesser risks, of course, and also ensures stability. I would use this option if the device is either vulnerable to the hands of kids and amateurs or anyone that might know what they are doing as well, if I do not need it changed. The problem is that also means you cannot make any big changes, thus cannot develop or improve it into a better device on the command line. Yes, that means some software cannot be installed or reconfigured. Kodi add-ons and any changes you make through Kodi will always work normally, because the read-only file system cannot easily be damaged or corrupted. There are some add-ons, however, that require more security permissions and more software to be installed to use. While LibreELEC should not have a problem most of the time, it will some of the time with some add-ons because it is on a read-only file system. If you modify your Kodi a lot, you might want to consider OSMC instead. If you do not need or want to do this, LibreELEC is perhaps a better choice for you. Though there is OpenELEC, be advised it is not made for the Raspberry Pi. We also have a helpful read for setting up the Raspberry Pi. We have in the past covered some alternatives to the Raspberry Pi on this website, and they are covered again here in this 2018 buying guide. The Orange Pi is another mini-PC choice that evolved from the Raspberry Pi revolution. Because you can run Android on the Orange Pi, you can use it as an Emby client device as well. Banana Pi is yet another great family of mini-PC's that can run Emby client apps in several ways. The most obvious is on an Android operating system, but you can also install certain Linux distros and versions on the same device. Whether or not it is even practically true, CuBox-i boasts to be the smallest computer in the world. It comes as five diverse models. With great product specifications the CuBox runs Android by default, but optional installations of Linux and Unix are possible too. The company that makes and sells CuBox publishes a great brochure, and also great user documentation for getting started and staying on. The HummingBoard family is a Raspberry Pi rival that uses ARMv7. You can also swap out the processor for this single-board computer, which makes it even cooler for the tech savvy. And, if you are buying single-board computers, chances are good you are tech savvy enough. This single-board device curently comes in four models. The company Solid Run that makes CuBox, makes the HummingBoard as well. There is a brochure and user manual on their website. The MinnowBoard is another awesome option for people who like to tinker. And, if you like to tinker you surely know what open source software is, but you may not have heard of open source hardware yet. The MinnowBoard is a great device in terms of open source hardware, which allows you to have the processing power of Intel. Competing with rivals like Pi devices, MinnowBoard's have Intel's superior technology. This list of devices would not be complete with DIY options if the BeagleBoard were not mentioned. 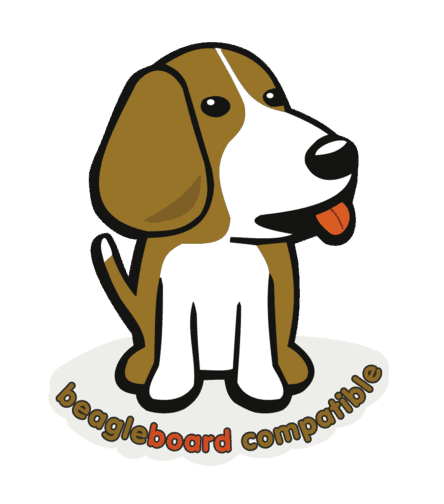 Though indeed a bit more for the tech savvy, the BeagleBoard is one brand in particular worth tinkering with and can easily be turned into a client device for Emby. If you want to learn how to build computers, this is another great single-board computer to begin learning with while using. Intel has its way of playing everyone else's game, and I like that. Sometimes I really like it! The Intel NUC is a perfect demonstration of how Intel can exceed the rest. Though definitely a bit more pricey than all the other options, it is for the obvious reason of housing an Intel processor in a small package. The acronym NUC stands for “next unit of computing.” I like to shop Intel NUC on NewEgg.com. Emby client devices with the power and features to stream from Emby Server come in many types, shapes and sizes. So, you should have trouble finding one to fit your needs and match the platform the rest of your devices are on. With the coming of IPTV-enabled premiere TV subscriptions from TV providers with their own ISP, Emby is here to take its place today! Want to make full use of your Emby server and client? Try installing the Jupiter Broadcasting plugin, Vine plugin, SoundCloud plugin, IPTV plugin, or Vimeo plugin. This brave new world will eventually replace the world of expensive, big, ugly, slow, and burdensome TV set boxes that not even TV providers want to use anymore. The Emby Server you know today may very soon become as much a part of every home network as the Internet router itself!